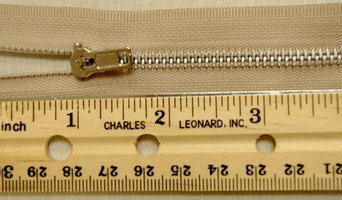 Sonny's Custom Draperies was established in 1985 by Sonny Montgomery. 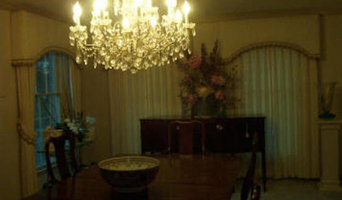 This business provided high quality custom draperies and interior design for 12 years. Sonny expanded her business and relocated in Olde West Chester, OH in 1998. This newly renovated business was renamed Montgomery's Drapery House & Decorating and still provides the best interior design, custom drapery and decorating service in the Greater Cincinnati area. The West Chester location features an excellent showroom featuring draperies, pillows, window treatments and fabrics. This location is also equipped with a workshop for designing and creating draperies and other custom works. Montgomery's Drapery House provides solutions to all home and small business decorating needs. For consultation and price quotes call or email Sonny Montgomery. We have the best reputation in the Greater Cincinnati area for furniture repair and refinishing. Shirley House Interiors is a privately held company in Cincinnati, OH, established in 1960 and incorporated in Ohio. Widmers’ has consistently been recognized both by loyal customers and numerous professional organizations. In fact, in 2006 this could not have been more apparent when the company was honored by the Better Business Bureau with The Torch Award, an award for marketplace ethics. In addition, Widmer’s was among the first cleaners in the world to be awarded the Award of Excellence by the Clothing Care Council. Fiber-Seal's industry leading protective treatments, cleaning methods, and customer support will help you care for your home's fine furnishings without worrying about spills and soils. We help care for your home's interior making it worry-free and livable for your family, pets and entertaining. Ivory Barn is a custom home decor line created by two women, Corie Cook & Samantha Sasfy. We build and create everything out of our homes in Pataskala, Ohio and then have some of our pieces in the shop 27 West & Co. in Olde Pickerington, Ohio. We do everything from farmhouse furniture to pillow covers and pallet signs! We also have a website you can order furniture from. We do the backwoods festival every September and we are also signed up for Country Living Ohio and the Salvage Treasures Market for 2016 Everything is custom orderable so give us a call anytime for a custom quote! Re-upholstery/upholstery repair includes redoing/outfitting items like chairs and sofas with springs, padding and fabric coverings. This can also include adding fringe, piping, tufting or additional decorative elements to a furniture piece. They can also advise you about the pros and cons of different fabrics so you can choose the best type for the project in your Dayton home. Find Dayton furniture repair professionals on Houzz. 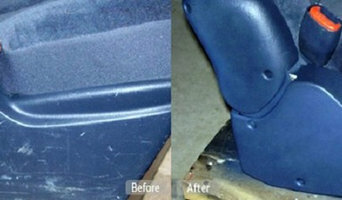 Narrow your search in the Professionals section of the website to Dayton, OH furniture repair.